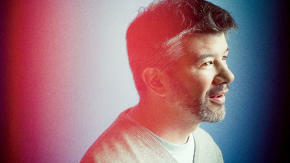 Uber CEO Travis Kalanick was given carte blanche by Google Ventures president Bill Maris, a Fast Company feature reveals. In late 2010, Uber found itself at the mercy of San Francisco city officials, who claimed it was running as an unlicensed taxi company. At the time, Uber was still operating under its original name, Ubercab, which the city argued was false marketing. CEO Travis Kalanick acted fast, clarifying that it was a technology company and trimming down the name to just Uber–and from there on out, despite the continued misgivings of taxi industry types, there was no stopping him. Kalanick looked like an irrepressible jerk to many outside the company, but he was dynamite with the financial press, who portrayed him as the ultimate insurgent (“Silicon Valley’s rebel hero,” as Fortune put it). Venture capitalists fell hard for Kalanick, too. “Any time you’re disrupting an industry, people are going to try to take you down,” says Bill Maris, the president of Google Ventures. Maris says he started trying to invest in Uber as early as 2011. When he finally got his shot, in the summer of 2013, he gave Kalanick what amounted to a blank term sheet and told him to name his price. “What’s it going to take to get this deal off the table?” he asked. Kalanick wanted more than $250 million at a valuation of a little less than $4 billion, a huge figure for a three-year-old company. Maris agreed to the deal on the spot.